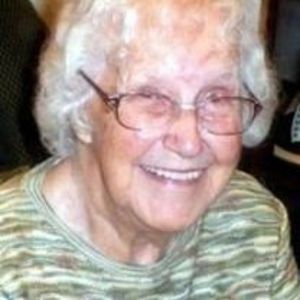 Nina Michael Heath, 91, passed away peacefully Wednesday, August 16, 2017. She is survived by a daughter, Anne (Ron) Helms, of Haw River, NC; two granddaughters, Elizabeth (Tristan) Mills of Charlotte, NC and Abigail Helms of Haw River, NC; and a sister-in-law, Connie Michael of Corpus Christie, TX. She is preceded in death by her parents, Thomas McKinley and Minnie Rae Michael; and her brothers, John, Wade, Jacob and Bill Michael, and sister, Rosalee Michael. She was a dedicated daughter, sister, wife, mother, and grandmother, and a loyal friend. Born in Winston-Salem, NC on October 8, 1925, she graduated from Miller's Creek High School, Miller's Creek, NC in 1942 and went to work in a World War II war plant. She met Stanley Heath in New York City while he and her brother, John, were on leave from the Merchant Marines, and they married on November 21, 1946. When she was not serving as a fulltime mother, she worked in a variety of office and industrial jobs until February of 1980, when she received her CNA from Central Piedmont Community College and began working as a private duty nurse aide. Once her granddaughters were born, she devoted herself to taking care of them as their beloved Nana while their parents were at work. Over the course of her life, she lived in several parts of North Carolina including North Wilkesboro, Cherry Point, Monroe, Burlington, and Mebane; as well as in Pocatello, ID and Point Pleasant, NJ. She was recognized in 2016 for living at West Hampton Apartments in Mebane, a community of senior citizens, for 26 years. She found a life-changing Christian faith watching a Billy Graham Crusade on television in 1963. She served in quiet ways in several Baptist and full gospel churches including teaching the first grade girls' Sunday school class and working in the nursery and church library, singing alto in the congregation, and encouraging others by listening to them and believing in them. A graveside service is scheduled for Saturday, August 19 at 1:00 p.m. at Lakeland Memorial Park in Monroe, with a reception to follow at the home of her granddaughter, Elizabeth Mills, in Charlotte. The Rev. Dr. Jean Chesser will officiate the ceremony. All are welcome to attend and to celebrate her life. In lieu of flowers, donations can be sent to Alamance County Meals on Wheels, 411 West 5th St, Suite A, Burlington, NC 27215, or online at http://www.alamancemow.org/donations.html . The family would like to thank the staffs of Touched by Angels Home Health Care of Graham, NC; Alamance Meals on Wheels, Peak Resources, Springview Assisted Living, Guilford House Assisted Living, and Amedysis Hospice and Rehab of Burlington for their care and support. Loflin Funeral Home, Liberty is honored to serve Nina's family.